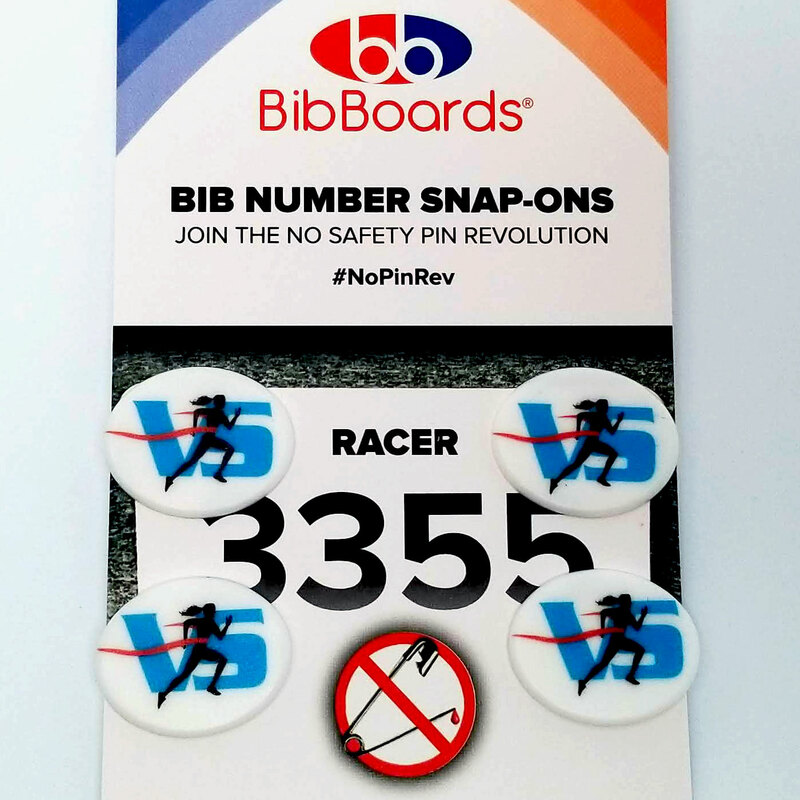 Virtual Strides BibBoards are a safety pin replacement that make it quick and easy to put on your bib before a race. No more getting stabbed by safety pins or putting holes in your running clothes! BibBoards are the world’s best pinless bib number fasteners and safety pin replacements. They attach easily and don’t damage clothes. BibBoards are the fun, athlete-friendly way to eliminate safety pins. The front and back pieces simply press together and lock in place.